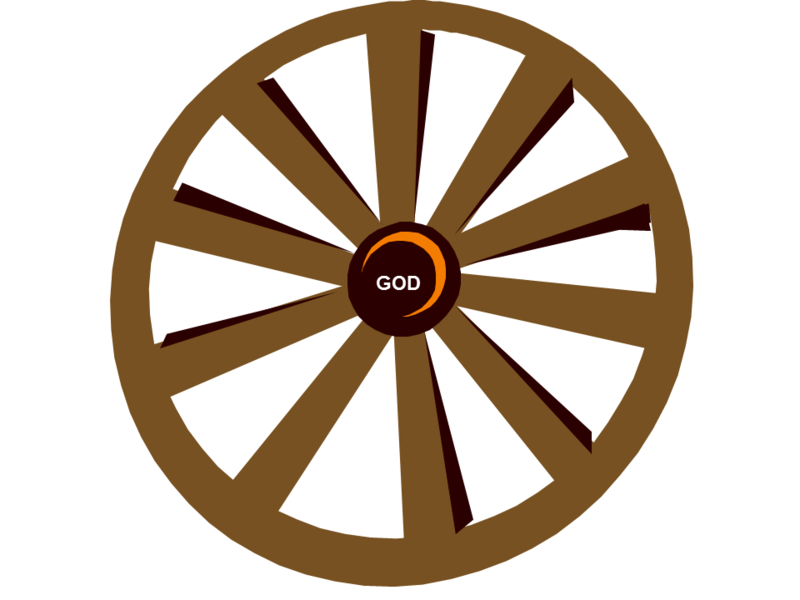 We look at life using a wheel diagram, with God at the center. Question: When have you taken something secondary in life, and acted like it was all-important? What happened? Which famous person’s quote resonates most with you? From the Bible: Read John 3-4 and reflect - if you could start life over like Nicodemus or the woman at the well, what would you do differently? When have you taken something secondary in life, and acted like it was all-important? What happened? Which famous person’s quote resonates most with you? Here is one way to envision how God created us primarily to have a relationship with him. Look at this wheel’s hub. A hub is a very particular piece, there is no other piece like it in the wheel. It has to be very strong, to take the entire weight of the vehicle, and it has to be a particular shape, in order to hold it all together. Nothing can replace it. And we were made to have other parts of our lives, for example the natural world, other animals, other people to all be built on our relationship with him, like spokes built around a strong hub, that then drives them and makes them useful. Those spokes could also represent our careers, marriages, educations, and every aspect of our life. But we have all exchanged this, removing the hub, and trying to place one or another of these spokes at the center – whether its our material goods, careers, sexual relationships, etc. They don’t belong there. 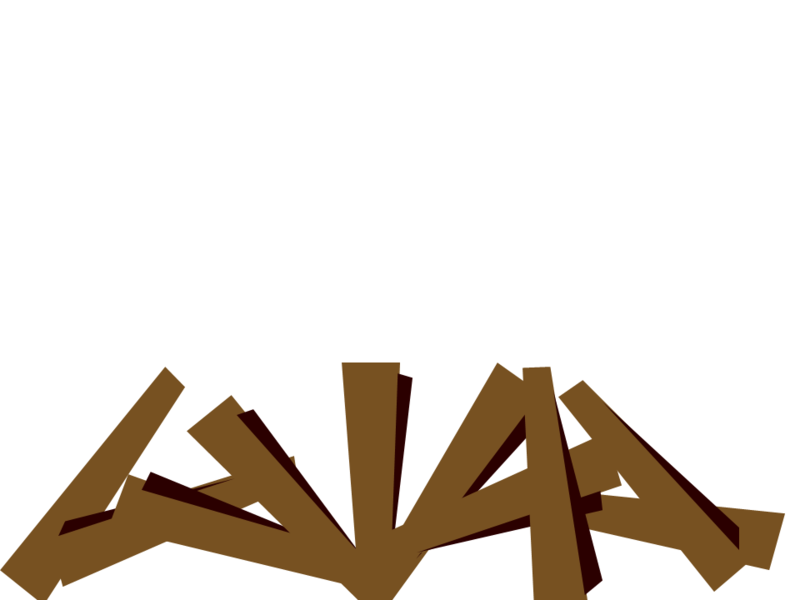 When that happened, our lives and relationships began to fall apart in all the ways we’ve experienced. That left us broken, but longing for the world we were made for, where God was at the center, and everything else in its place. Saint Augustine was a Christian bishop if the 4th century in northern Africa said that each of us is restless until we find our rest in God. Maybe you can relate, having lived life feeling as if you are never quite settled, things are never quite right. This restlessness is because something is not quite right in our lives! We are missing our hub, the center of our lives around which everything else should revolve. Zoom ahead a few centuries. The problem is that we try and fill that hole with everything but God—with our jobs, with our partners, with clothes, with food, with vacations—you name it. Which is great when we have it – but crushes us when we loose it – none of these things will ever fully satisfy. The only thing that fits in the center is God, like the hub of a wheel, he is the only thing strong enough, and able to hold it all together no matter what happens. He was right—the one thing we all need is the ongoing loving relationship. Yet no human relationship or earthly pursuit will satisfy entirely, nor can it be completely ongoing. There will always be something missing. We have separated ourselves from God… Adam first, but then all of us have followed, experiencing the same alienation from God. Read John 3-4 and reflect – if you could start life over like Nicodemus or the woman at the well, what would you do differently?